Callender Howorth leads the field when it comes to all things design. Offering an experienced team that specialise in all aspects of interior architecture, we invite you to view our previous projects in the city of London. Callender Howorth can visit you to discuss your design requirements and we guarantee a service of the highest quality. The bustling city of London is a hotspot for innovation in design. 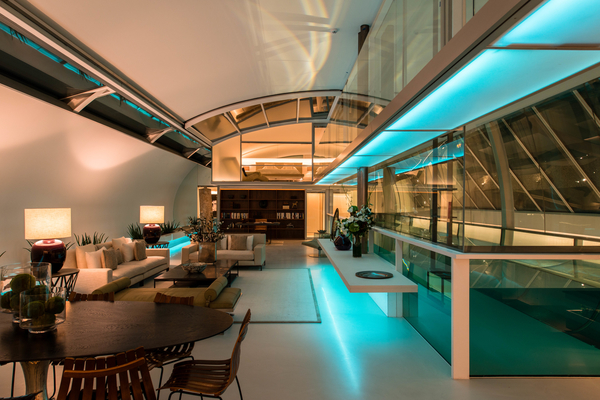 Some of the world’s best interior architects choose to ply their trade in the capital, offering bespoke services that are tailored to the clients exact requests. 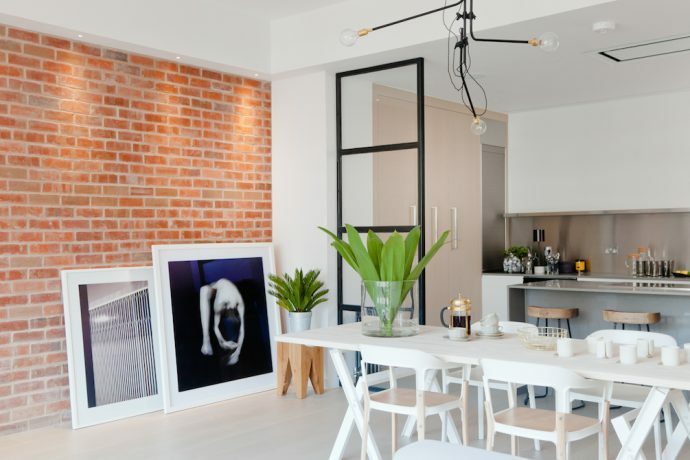 Callender Howorth leads the field when it come to renovating both residential and industrial spaces in the city, as well as many other aspects of London interior architecture. The London skyline is distinctive and easily recognisable with its modern skyscrapers, Shard and Gherkin giving way to the London Eye and more classical buildings of the West End and Westminster. This is a city rich in architectural history, from the iconic Tower Bridge to the breathtaking arches of St Pancras Station, which utilised the work of talented London interior architects. Many of London’s most beautiful buildings have stood the test of time, none more so than 700-year-old Westminster Abbey and Sir Christopher Wren’s domed St Paul’s Cathedral, which have seen more than their fair share of high profile weddings and funerals. Buckingham Palace is the most famous of London’s buildings with its lavishly decorate state rooms and regal opulence. Somerset House is one of the capital’s most striking buildings, built in the neoclassical style and situated overlooking the River Thames. The London interior architects at Callender Howorth draw inspiration from the plethora of buildings that shape the Big Smoke’s skyline. The capital is awash with a diverse array of architectural marvels. London is also a city of history and tradition; this, too, is something that refines the quality of our work. London is packed full of cultural and artistic treasures. Trafalgar Square can be seen as the centre of the city and it correspondingly has a number of attractions nearby including the large collections at the National Gallery and National Portrait Gallery. Culture enthusiasts will love the British Museum with its comprehensive collection of antiquities and the Bankside reconstruction of Shakespeare’s Globe Theatre. The east of the city has more fascinating museums and monuments such as Tower Bridge and the Tower of London, whilst Parliament and Big Ben draws crowds to Westminster. There is plenty to interest all ages and the London Eye, the Natural History Museum and London Zoo provide excellent excursions for children. What have we designed in London? 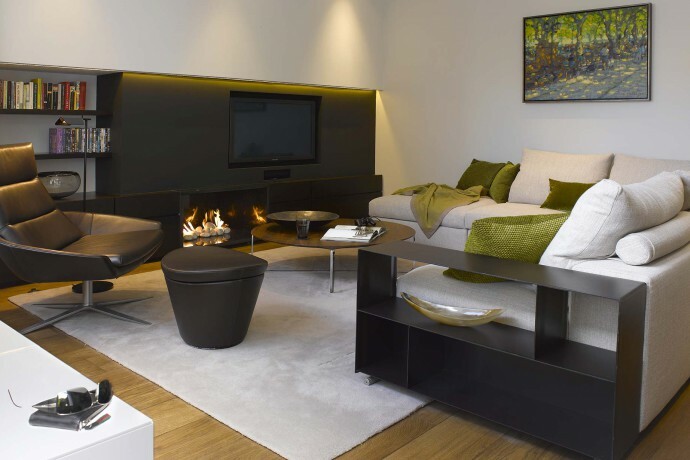 Callender Howorth London interior architects are extremely experienced in designing a tailored setting for residences and workspaces. 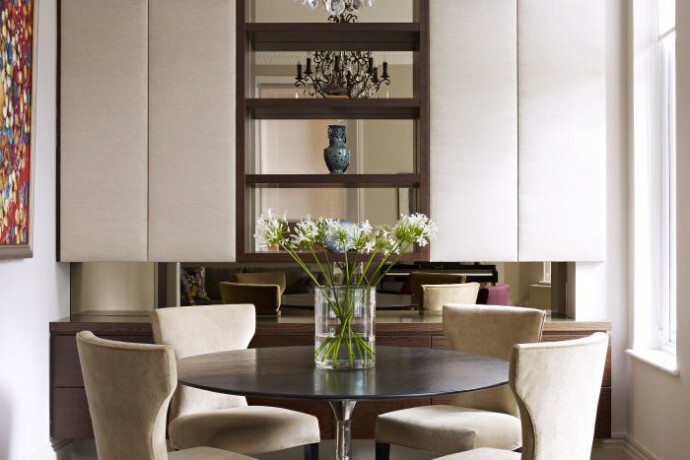 One of our most high-profile projects was a large-scale renovation on Kensington’s exclusive Boltons. We transformed a Kensington house that had not been updated for 30 years into an airy and aesthetically pleasing 5-storey home for a young family with five children. The design was practical as well as stylish and utilised warm, soft colours to give the house a feeling of comfort whilst preserving a sense of spaciousness. 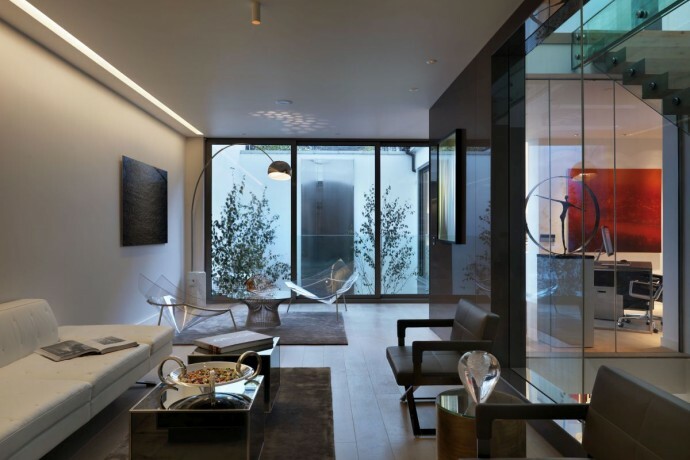 At a project close to Regents Park, Callender Howorth transformed a charming set of mews houses into a contemporary residence to envy. Incorporating an innovative pool, the project utilised an unusual space to create a truly spectacular property. Our scrupulous attention to detail has meant that Callender Howorth has been sought out for numerous high-end renovations in areas as diverse as Mayfair, Islington and Knightsbridge. The famous English essayist Samuel Johnson once said: ‘when a man is tired of London, he is tired of life.’ This statement still rings true since there is so much to see and do on the streets of the UK’s culturally rich capital city. From museums, theatres and cinemas to the finest shopping in Europe at stores such as Harrods, London has something to offer everyone. The range of fine dining options are unrivalled with prestigious restaurants such as the three-Michelin Restaurant Gordon Ramsay and the innovative Ledbury in West London competing on quality. The Ivy Restaurant in London’s West End attracts a celebrity crowd and exemplifies the tradition of fine dining in London. Its stain glass windows beautifully bathing the rich mahogany and chandeliers of the elegant room in eye-catching lights of all colours are the imaginative work of London interior architects. Diners travel from far and wide to sample the sumptuous delights of international restaurants such as the North African Moro and Argentinian Gaucho Restaurant. Indian food is still a British favourite and the gourmet selection served at the Cinnamon Club, Amaya and Benares has a number of devotees, who also appreciate their modern London interior architecture. Japanese food is also well represented in the classy, modern settings of Zuma, Nobu and Roka, with delicious Cantonese cuisine being served at Hakkasan. Vegetarians and vegans are also catered for in stylish restaurants such as Tibits, while meat-eaters will love the carnivorous delights on the menu at Hawksmoor Steakhouse. Why do you want to live in London? Who lives there? As one of the most lively and cosmopolitan cities in the world London has been attracting residents for hundreds of years. It has beautiful architecture, fantastic shopping, peaceful parks and a vibrant nightlife. It’s also a fantastic city to obtain a great education at any age with its vast array of schools, colleges and universities. Its highly respected educational institutions include University College London, Imperial College London, King’s College and London School of Economics and Political Science. DLD College and CATs College London helps thousands of international high school students to gain entry to the world’s most prestigious universities. There are a number of unique schools associated with venerated institutions in the city such as Westminster School, Westminster Abbey Choir School and St Paul’s Cathedral School. Specialist schools such as the Royal Academy of Dramatic Art (RADA) and the Royal Ballet School help students progress to careers in the arts. 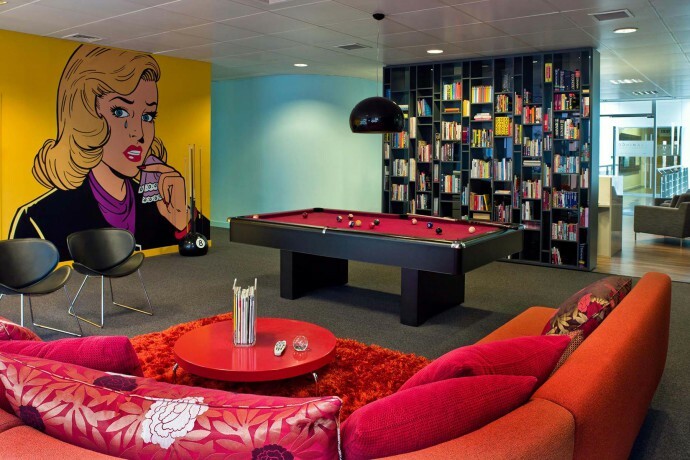 The city is full of famous faces including millionaire entrepreneurs, celebrities and socialites, such as Ollie Locke and Millie Mackintosh, who have no doubt enlisted the help of London interior architects. Contact the dedicated team of professionals at Callender Howorth to discuss your interior architectural needs. A fun team of London interior architects that loves what we do!